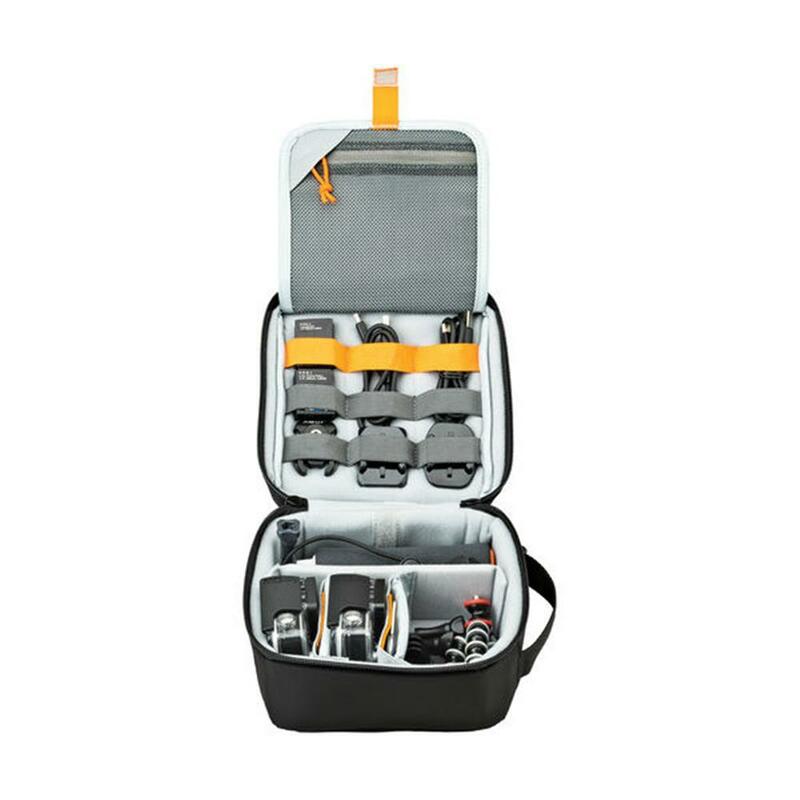 Soft-sided and protective case is build with a fully padded and adjustable divider system to arrange your GoPro or other action video cameras, plus small action accessories, as you please. 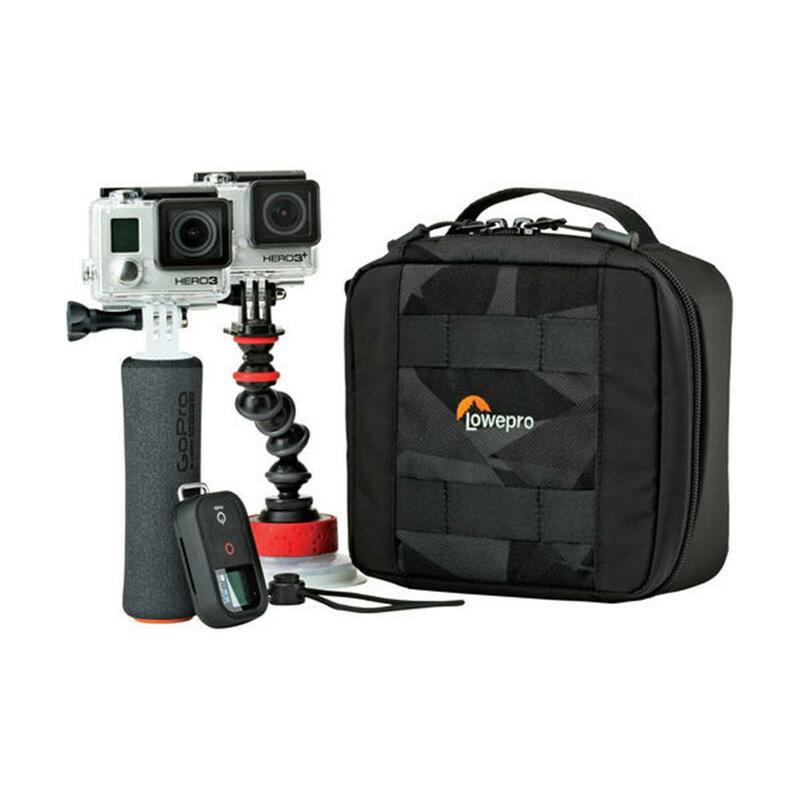 And protect your kit from impact, bumps and abrasion. Constructed of rugged, weather-resistant 600D and 420D polyester with tactical "fractal camo" accents. 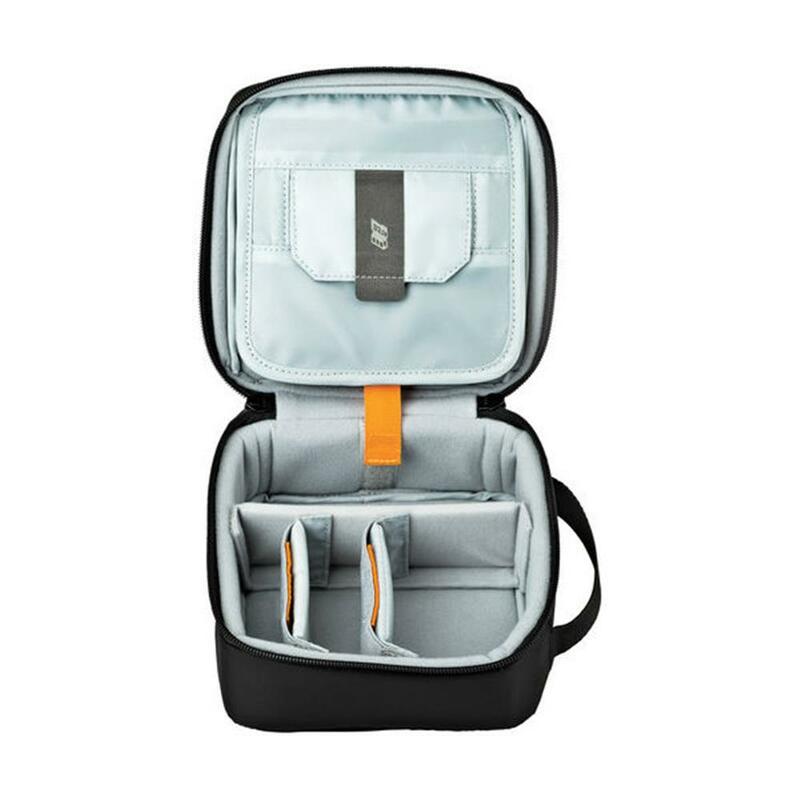 Smart interior organization includes adjustable dividers, two with a built-in pockets to stash a backdoor, filter or remote (and keep it from scratching camera); plus a see-through zippered mesh pocket for microSD cards, cables, backdoors, mounts, etc. 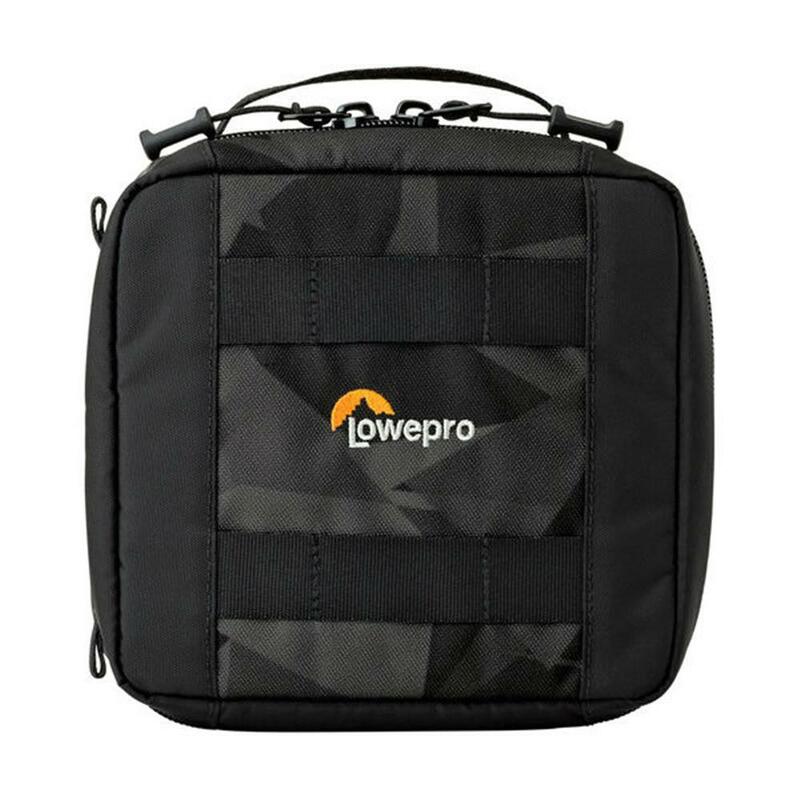 ; top panel with built-in memory pockets; plus a padded panel with stretching webbing straps to organize and secure cables, mounts, etc. 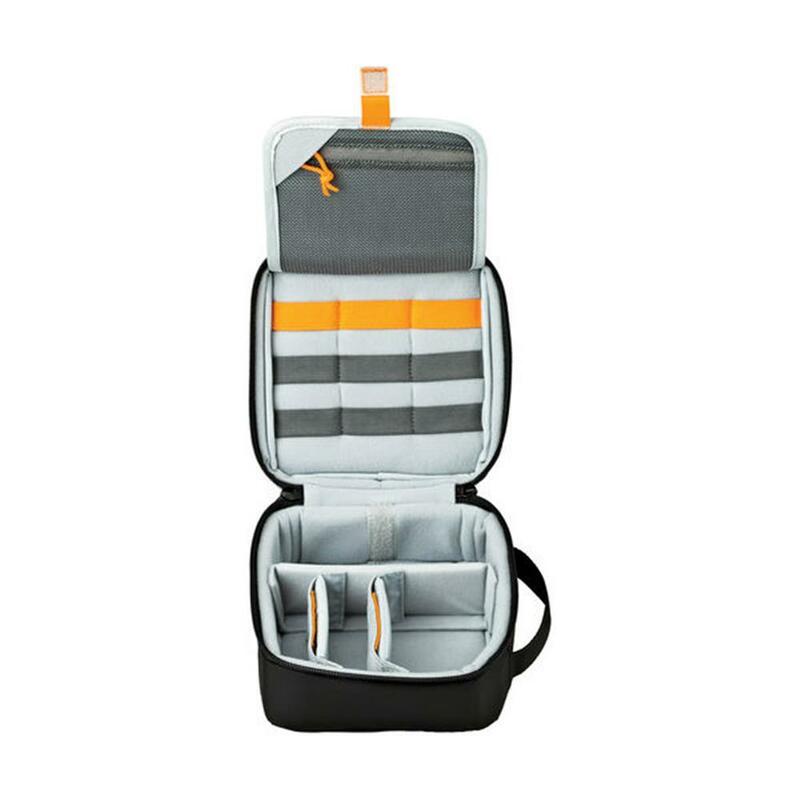 Super-portable design makes it easy to carry in a larger bag or carry by the grab handle. 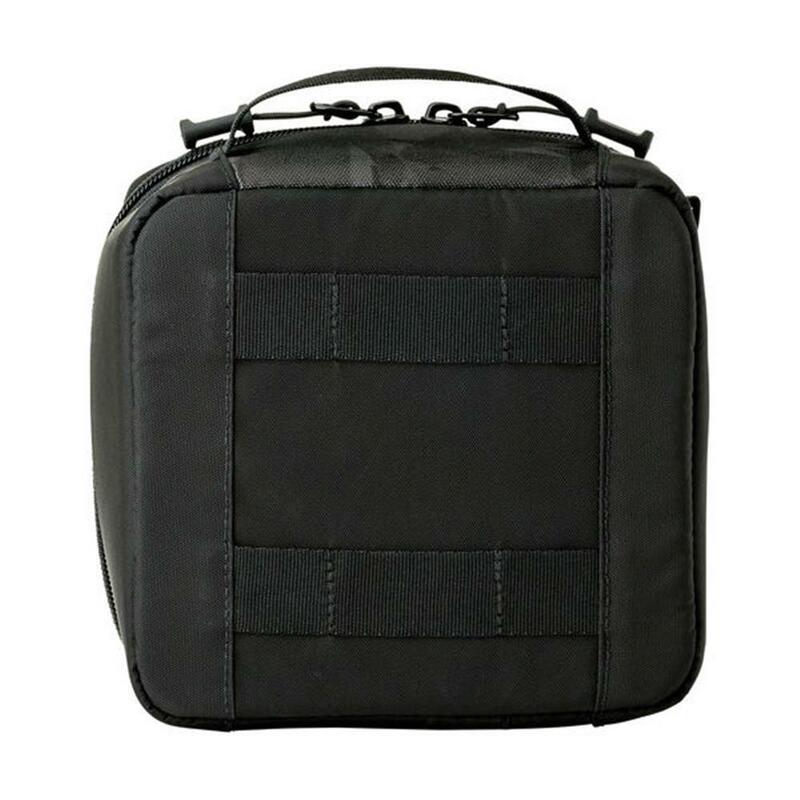 Exterior webbing straps provide extra carry and attach options. Easy-grab zipper pulls offer smooth operation, even with gloved hands.